CENTURION, South Africa — Award-winning South African front of house engineer, Marius Marais, has long been a fan of HARMAN’s Studer and Soundcraft mixing consoles. Recently, he has increased his inventory considerably, adding a Studer Vista 5 SR, a Soundcraft Vi1 and Si Compact (with optical card)—all supplied by HARMAN Professional’s South African distributor, Wild & Marr. Marais’ CV boasts many accolades for which precision audio engineering excellence was a prerequisite, including “SA Idols”—and he has also been associated with the South African Music Awards (SAMA), the 2010 FIFA World Cup and other high-profile events. The Vista 5 SR solution had been proposed by Wild & Marr and debuted on a “Starlight Classics” show. 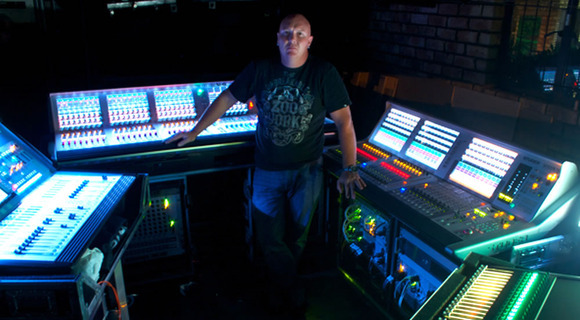 By 2009, Marais had formed his own company, Audio Logic, with Wild & Marr providing an Si3 which he used as a sidecar (alongside the Vi6) for big orchestra shows involving the giant Afrikaans music production, “Skouspel” (which translates to“Spectacular”). This included a 64-piece orchestra, a 6-piece rhythm section, a guest band of various sizes and huge numbers of vocalists.